I'm so in love with Saeed Ghani's products ever since I have used Saeed Ghani skincare range long back right after my engagement I got a gift from my dear friend fakhra. I don't often fall for skin care product. I'm so lazy and careless indeed to take care of my skin and hair, but from the last two months I'm seriously getting into pampering my skin and hair with herbal products as my skin and hair becoming so dull and dry. I already had an amazing experience with Saeed Ghani and found their range is beneficent and extremely effective for my skin. After having great experience with skin care range I'm wiling to try out the hair care range too. Saeed Ghani is a brand of Karachi and not easily available in Lahore at local store. Somehow I managed to order Saeed Ghani range from Daraz.pk. A store selling National and multinational brands across Pakistan. They sell Saeed Ghani products in bundles with the products of their own choice. Though there were many bundles to choose from, but I have picked up this one because my concern to try out the hair care products. 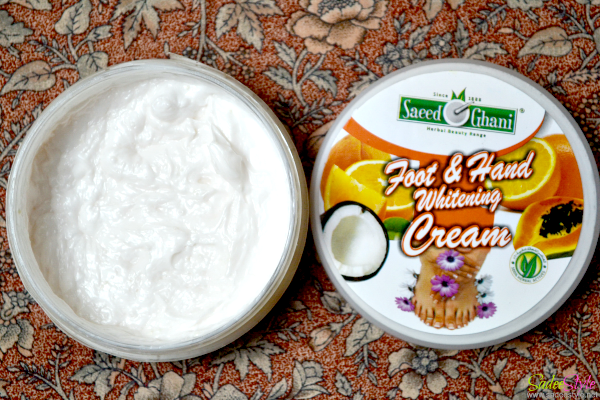 Saeed Ghani Coconut Foot and Hand whitening cream. 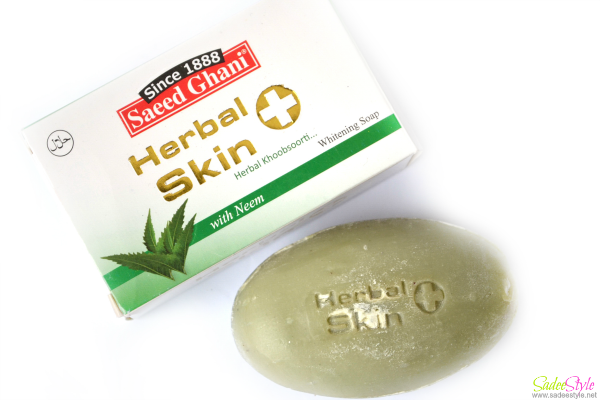 Saeed Ghani Neem Herbal Skin Soap. 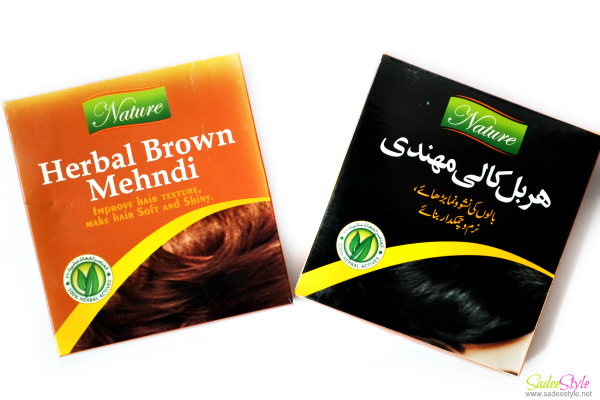 Saeed Ghani Herbal Brown Mehndi. Ubtan is a powder of different herbs and can be mixed with rose water, milk or simple water to make a smooth paste to apply on skin. It helps to lighten the skin. 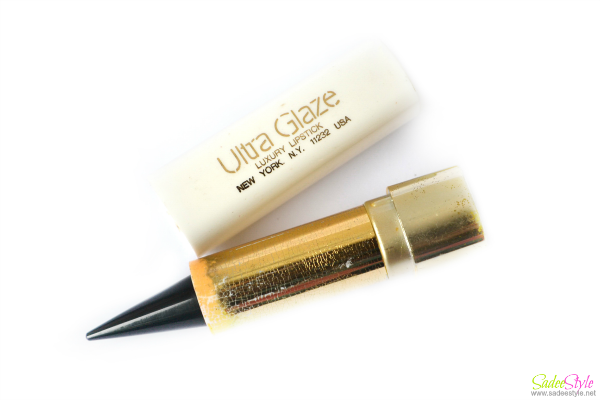 It also helps remove blemishes, prevent wrinkle and black spots. Though I already have it and have not wanted it, but it came in a bundle so I have saved it for later use. It feels so pure and smell so refreshing. I'm not very keen of whitening products, but working hard and jogging everyday in summers making my skin dull and dark. Looks like a perfect time to start using the cream. Hopefully it's good in texture, feels so light and smell so good. I think its too early to make any kind of decision because I have not used it enough yet, but I will surely keep you update. Honestly I'm super impressed with the rose water. It feels and smell so pure. 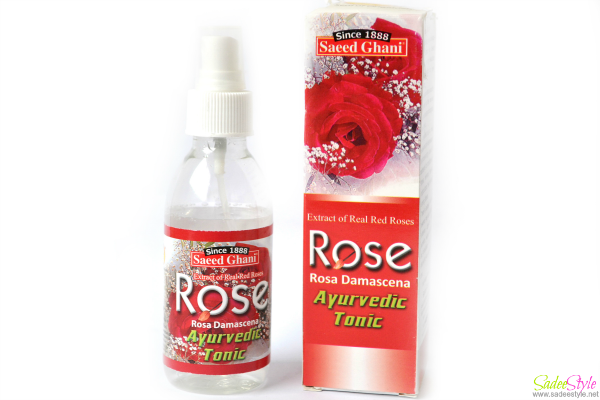 Saeed ghani rose water comes in a spray bottle which make it very convenient to use. Coconut oil is very effective for thin hair treatment. It works wonder when mix with castor oil. I'm using coconut oil with castor oil and noticing the difference. My hair are more fuller and manageable. 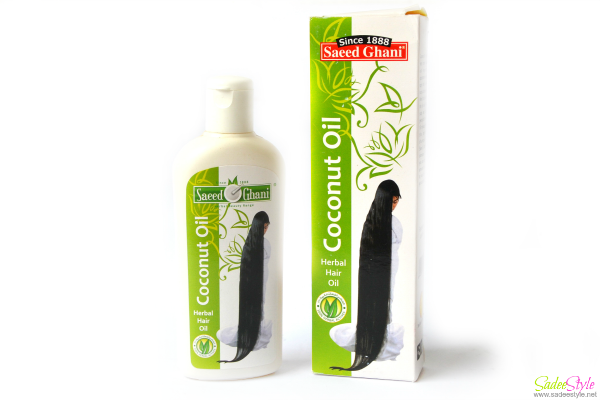 I really like the Saeed Ghani coconut oil because of its purity. It's so pure and smell is very natural. I appreciate that Saeed Ghani has not included an artificial scent in it. This is the only thing by Saeed Ghani that I have never wanted to have. I'm a girl like very light fragrances. I mostly love wearing deodrands because of their lighter essence. I'm always afraid of attars because of their extremely strong smells which always give me headache. Unlike random attars its fragrance is very light and has a very elegant scent. Component of Neem can be found in many beauty and skin care products. Neem contain vitamin c which helps skin to prevent ageing signs, remove skin fungus. It also beneficial for pigmentation. Saeed ghani made unique herbal soap with component of neem. It may smell weird but its very effective in skin deceases. Mehndi is considered a most effective and natural treatment for thin hair. It gives strength and thickness to hair. It's also good for natural colourant and bring out red, brown and black colour. Since Saeed Ghani has a special herbal brown and mehndi in a bundle. I have had a huge expectation with Saeed ghani mehndi, but It's probably a disaster for hair. After applying for 20 minutes on my hair it never changed my hair colour, but also made them super dry and rough. Its too pricey and amount is very less. It's a total waste of time and money. I will never recommend it. Girls can't have enough kajals. I have many kajals as-well. Saeed ghani kajal is similar to rivaj kajal, but packaging is very tacky. I got all these products in a bundle. Some products are good and some of them are not even worth to buy. I would rather like to buy individual products instead of bundle. I'm really disappointed because of the mehndi which did not really work on me. 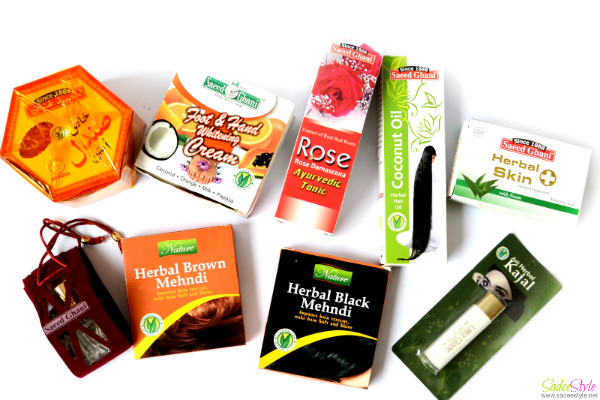 Although I like the ubtan, neem soap, attar and coconut oil. I have been hearing many good reviews from fellow bloggers about mughziyat hair oil by Saeed Ghani. Looking forward to trying out more hair products. These all look really lovely! I also have few products by saeed ghani and they are really good. Very fantastic product specially for woman . please check my link for health clinic . The great things regarding it's you simply bonk once, and so you save such a lot time on shaving on a daily basis for the remainder of your life. thus you'll be able to continually have a clean, fabulous trying body, for more information click here male waxing. Saeed ghani outlet in lahore is situated at hyperstar 1st floor, Fortress Stadium. Thanks for your blog. In a word this is a great post! Here i found many tips how to take care of hair that's help me very much.See more 4 hair bundles Our 4 bundles deal comes with 4 bundles and a variety of choices at a great price. Our hair is 6A grade virgin human hair. Click here to shop now! Wow! think this is a wonderful story! You positively know the best way to convey an issue to mild and make it important. Extra individuals have to read this.See more four hair bundles Our 4 bundles deal comes with 4 bundles and a variety of choices at a great price. Our hair is 6A grade virgin human hair. Click here to shop now! Very nice site.I am really inspired with your writing skills and also with the structure for your weblog. Is this a paid topic or did you customize it your self? Add my website three hair bundles Our3 bundle deals come in lengths from 16 inches to 26 inches. Each bundle deal has 3 hair bundles. Great prices. Ships from the USA. Can I simply say what a reduction to search out somebody who truly is aware of what theyre talking about on the internet. You positively know the best way to convey an issue to mild and make it important.Add more three hair bundles Our3 bundle deals come in lengths from 16 inches to 26 inches. Each bundle deal has 3 hair bundles. Great prices. Ships from the USA. What are your feedbacks on Saeed Ghani Coconut Foot and Hand whitening cream. Did it work?